Battlefield™ veterans may already be familiar with the CTE – the Community Test Environment. We are now glad to announce that the CTE is making its way to Battlefield™ 1 – for PC players initially. Below you will find info on how to join the CTE to get your hands on early Battlefield 1 content. What is the Battlefield 1 Community Test Environment? The CTE is a Battlefield 1 environment where involved players can help us test new features, improved/changed content, and experiments that aren’t yet (and may never be) ready for public release. What is the purpose of the CTE? The CTE lets us share our development process with our players, get your valuable feedback earlier, and keep improving the Battlefield 1 experience. The earlier we can get player feedback and full 64 player servers testing our latest features – the better off we’re going to be. 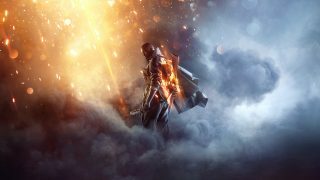 What Battlefield 1 content will be in the CTE? Initially, the CTE will be used for testing and ensuring stability of the next Battlefield 1 update. More Battlefield 1 content will be added to the CTE later. Where and when can I sign up for the CTE? Initially, we will be handing out codes to select members in the community and give Battlefield veterans access. These codes will be redeemable through Origin and will give players CTE access on PC. Once it is available to the general public, you can register for the CTE via the Battlefield Companion app*. More details on the CTE and the registration process can be found on http://bit.ly/bflcte-registerpc. Who can access the CTE? Initially only PC players will be able to sign up for the CTE. Our goal is to let PlayStation® 4 and Xbox One players get access too as soon as we can. Furthermore, a Battlefield 1 Premium Pass for the platform you want CTE access for is required if you don’t already have an access code. *REGISTRATION DOES NOT GUARANTEE ACCESS TO BATTLEFIELD 1 CTE. REQUIRES BATTLEFIELD 1 FOR APPLICABLE PLATFORM (SOLD SEPARATELY), BATTLEFIELD 1 PREMIUM PASS, PERSISTENT INTERNET CONNECTION, ACCEPTANCE OF (I) BF1 CTE BETA TEST AGREEMENT, AND (II) ORIGIN END USER LICENSE AGREEMENT (FOR PC USERS), INSTALLATION OF THE ORIGIN CLIENT SOFTWARE (WWW.ORIGIN.COM/ABOUT) (FOR PC USERS), AND, FOR CONSOLE USERS, A XBOX LIVE GOLD OR PLAYSTATION PLUS SUBSCRIPTION (BOTH SOLD SEPARATELY). MUST BE 18+. GAMEPLAY PROGRESS, ACHIEVEMENTS, CHARACTERS, CHARACTER DATA AND/OR ANY OTHER VALUE OR STATUS INDICATORS ACHIEVED IN THE CTE WILL NOT TRANSFER TO BF1 MAIN GAME. CTE IS PRE-RELEASE SOFTWARE, MAY CONTAIN ERRORS/DEFECTS AND IS PROVIDED “AS IS” WITHOUT ANY EXPRESS OR IMPLIED WARRANTY.